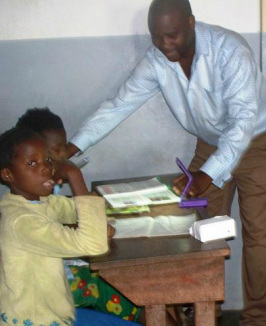 Joao Chidamoio shows students how to use thier new pocket lights. 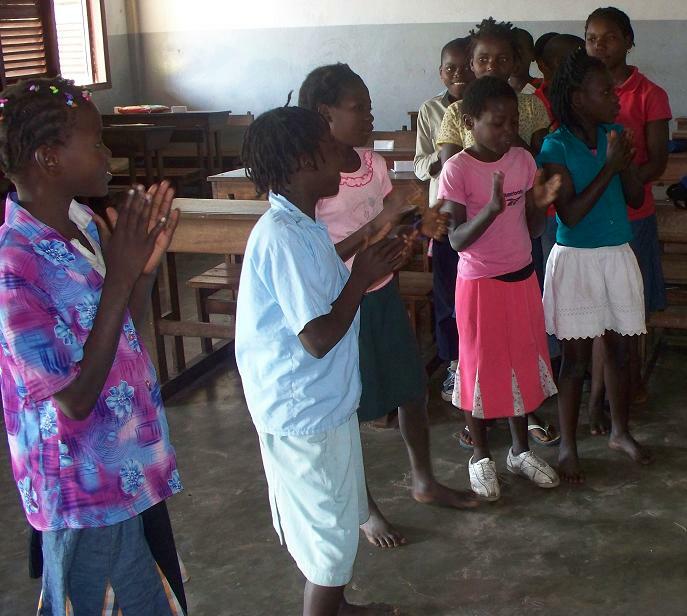 School children rejoice in receiving their pocket lights. 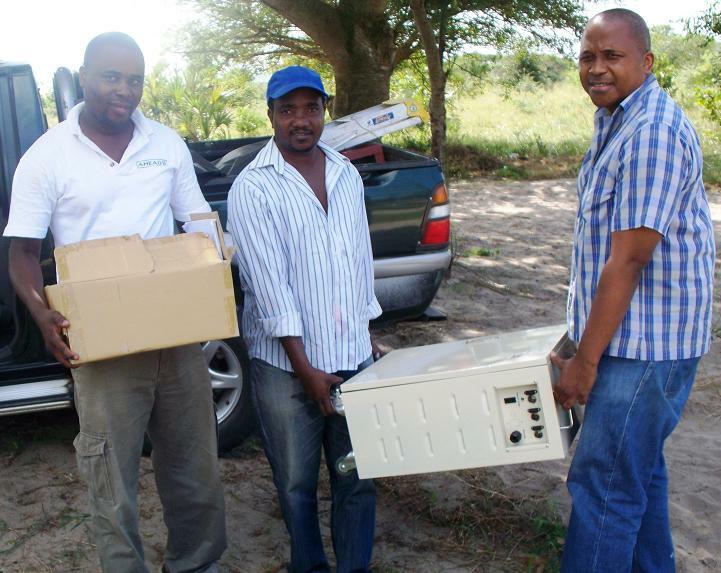 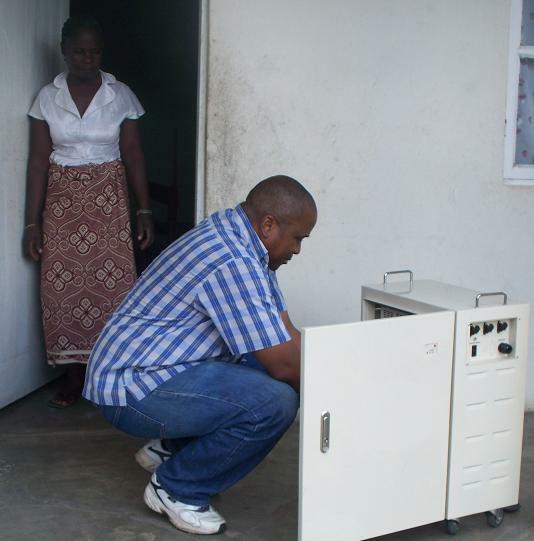 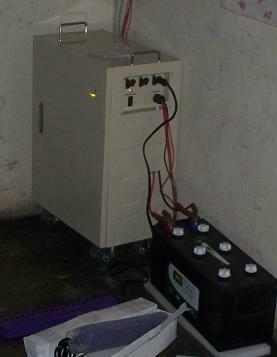 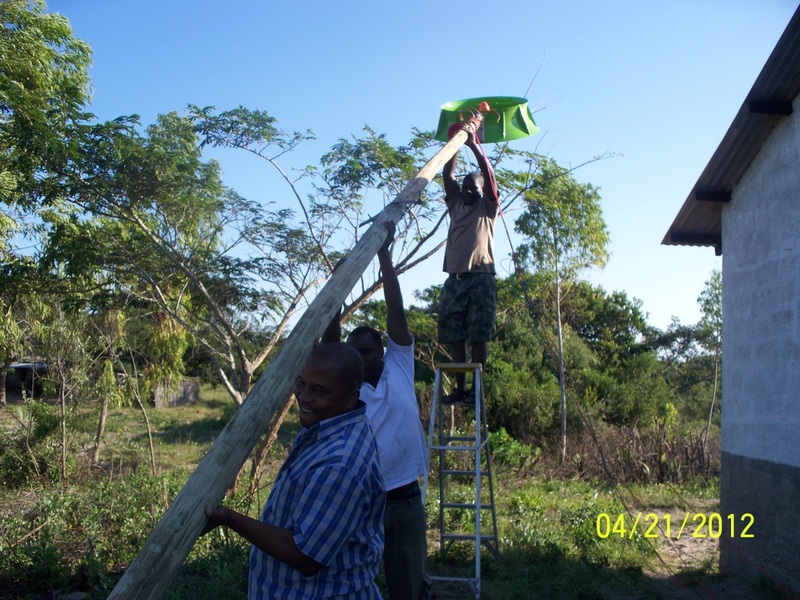 Joao Venancio installing equipment at Machubo Primary School. 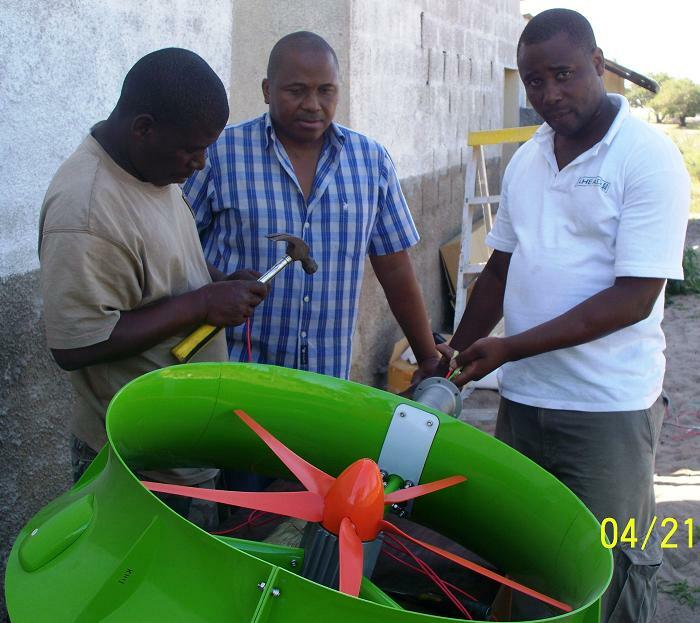 Preparing the wind turbine for installation. 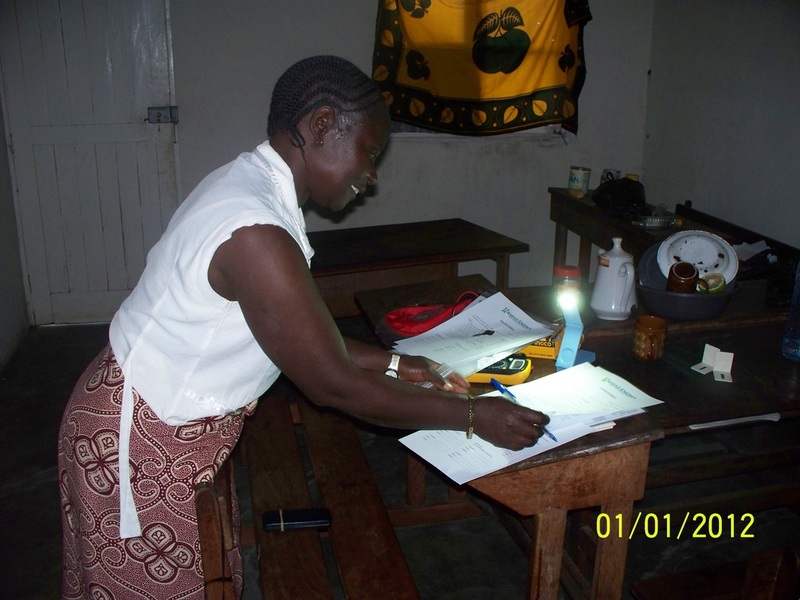 Teacher with new pocket light. 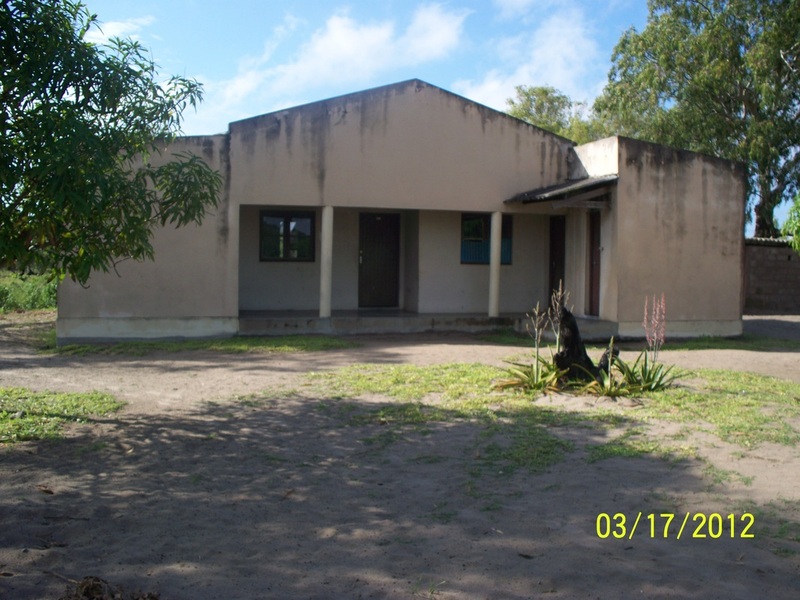 Machubo Primary School main office. 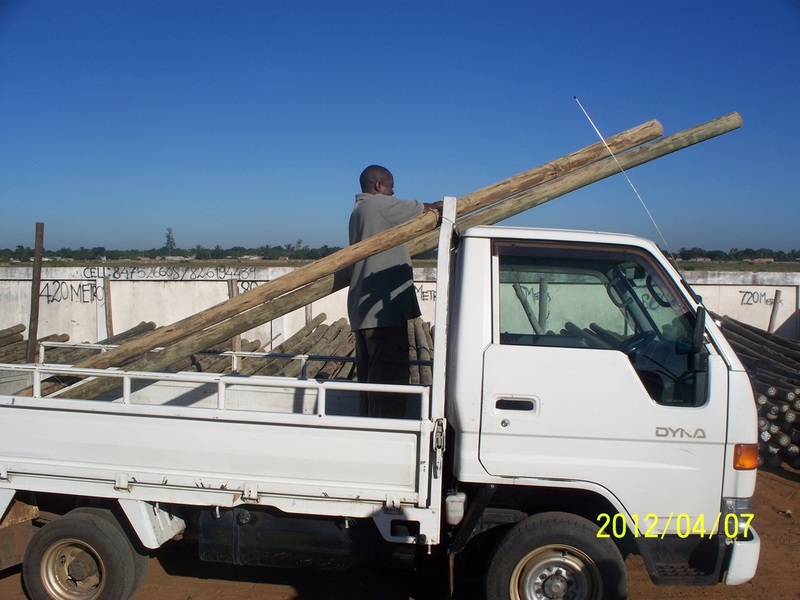 Delivery truck bringing equipment to the remote school. 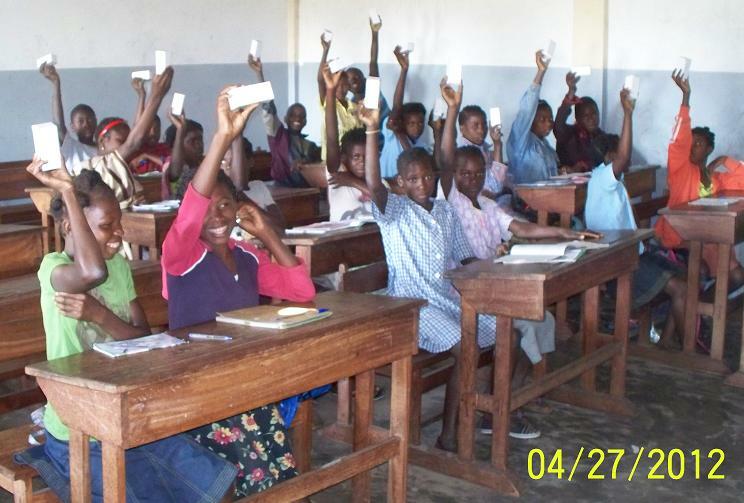 Students rejoice in receiving their pocket lights.